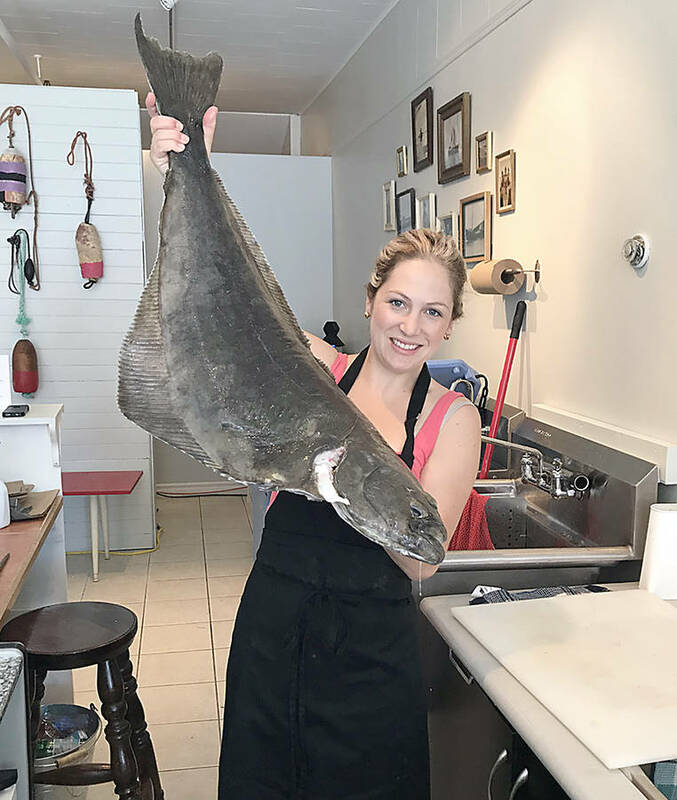 As a "born and bred Lunenburger" who comes from a long line of fishermen, it was probably inevitable that Kelly Conrad would end up opening up her own fish shop in the town - Dory Mates' Seafood Shop on Montague Street. Even she concedes, "naturally, the sea is in my blood." However, the 29-year-old is reeling in her experience and contacts from 10 years in the local restaurant industry as much as from her family background. A waitress at the town's Salt Shaker Deli for the past eight years, she credits owners Martin and Sylvie Ruiz Salvador for getting her hooked on the idea of owning her own business. "They have been my inspirers, and gave me my drive to be an entrepreneur," and offer the town something it doesn't have but for which there is a demand, she told LighthouseNOW. Conrad's great grandfather Harry Demone, was a sea captain, as was her grandfather, Earl Demone, who is 93. 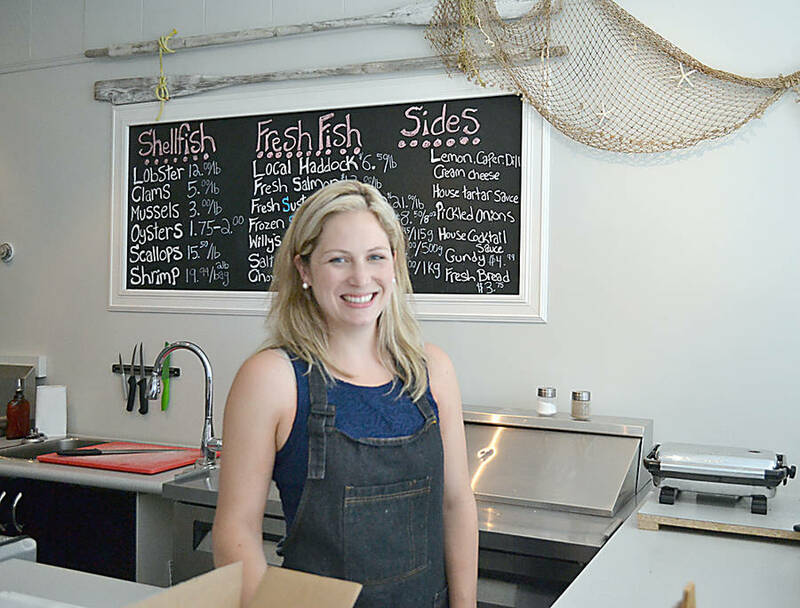 Her husband, Jason Conrad, a lobster fisherman, is also a captain and co-owns the shop with her. She likes to tell the story how, as a boy, her grandfather had stowed away on The Bluenose while his father was on board. "He knew his father wouldn't allow him to go to sea, right? So he hid down below, and when he was out far enough that he knew his father wouldn't turn back he came out. And [his father] said, 'Well son, if you're gonna be here, you're gonna work.'" That sentiment of working hard seems to have been passed on over the generations. Conrad, who works in the shop alone, points to a small blackboard hanging on the wall, where she's written in colourful chalk a quote attributed to her grandfather: "'Growl You May. But Work You Must!' - Capt Earl Demone." "It's my heritage," she says. "It's something Lunenburg didn't have. It just seemed right." She agrees it's "bizarre" the seaside town didn't have one. The Lunenburg Fish Company acts as a de facto business, but it deals in wholesale quantities and has no direct retail operation, she notes. Conrad surmises there may have been fish shops in the past, "but everybody had their neighbour, or their brother, or their uncle that had fish," and that the shop trade just slowly faded away. But now with more and more newcomers to the town, the demand for fresh seafood has been increasing. When she worked in the restaurant, she says, "every day they came in. 'Where can I buy fresh fish? Where can I buy fresh shell fish? Where can I buy this?' And I would send them to the grocery store." According to Conrad, the owner of the commercial space, Eva Ziegler, "loved the idea" of a fish shop. "When she heard a fish store, she said, 'We need a fish store. You can do this Kelly. You can do it.'" Within two months Conrad had transitioned the former children's shop "right down to its bones," and installed plumbing, a refrigerated display cabinet, and dedicated counter space. She then fitted nautical theme decor pieces and a family photo gallery. Sourcing the seafood was the easy part. "When you grow up in the area and in the food industry for all those years, you learn a lot. And you meet a lot of good people." 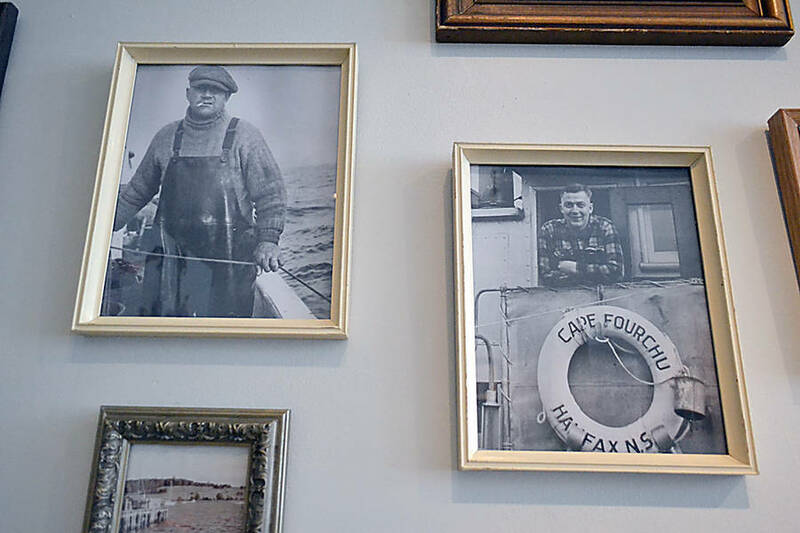 Lunenburg Fish Company has been "fantastic" in helping her out, she says. 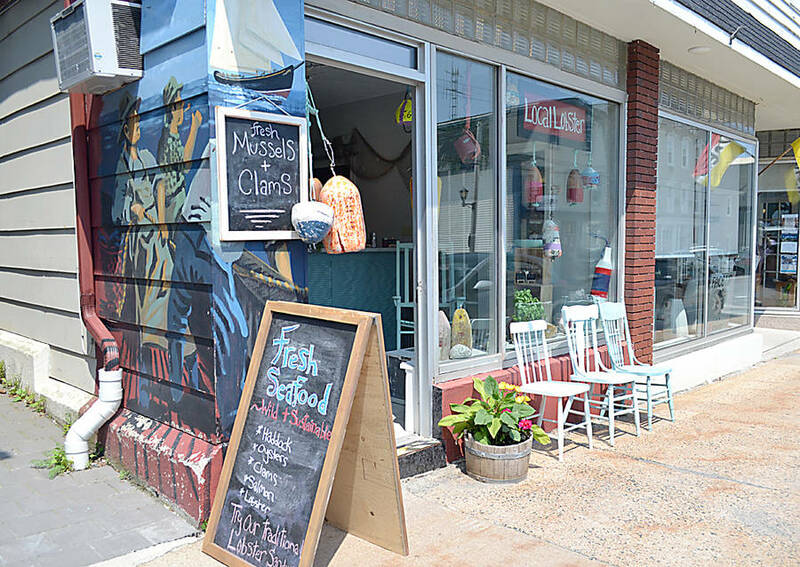 Meanwhile, she has clams hauled in from Digby and mussels from Indian Point. She opened for business on June 8, about two months after taking over the space. Conrad stocks what she knows will sell - haddock, oysters, mussels, clams, salt cod and scallops, all of which she describes as "the staples." There's also a weekly special, such as Arctic char or rainbow trout. She's brought in a whole halibut and filleted it herself. "And people line up at the door." She also offers lunch items such as lobster or smoked salmon sandwiches served on organic bread from Boulangerie La Vendéenne in Blockhouse. "So you can take them down to the wharf or on the boat," suggests Conrad. Beyond that, she's happy to "listen to the community" as to what they may want to buy. She's big on the locals and says they're the reason she still works part time at The Oyster Bar, which is also owned by the Ruiz Salvadors. "I love serving the community." Conrad says the plan is to remain open weekends beyond the summer season. She and Jason juggle looking after their two-year-old daughter together. "I parent all winter; he parents all summer," she explains. While Conrad knows her fish, like many novice entrepreneurs she admits being a bit "scared" about sea she's set her financial boat on. The business is self-financed and it was only last year she and Jason landed their lobster licence. "So it's two businesses in two years for us." And like many new business people she occasionally succumbs to the big "what if," she says. "What if it doesn't take to the town? What if the town doesn't take to me, right? What if it doesn't go over well? I mean we all want a fish store, but are [the customers] going to actually come?" But, in fact, the locals seem to be taking to the fish shop swimmingly. There was a steady stream of customers coming into the shop when LighthouseNOW was there last week. And Conrad concedes business has been "fantastic" so far. "I couldn't really ask for any more than what the community has been giving me. 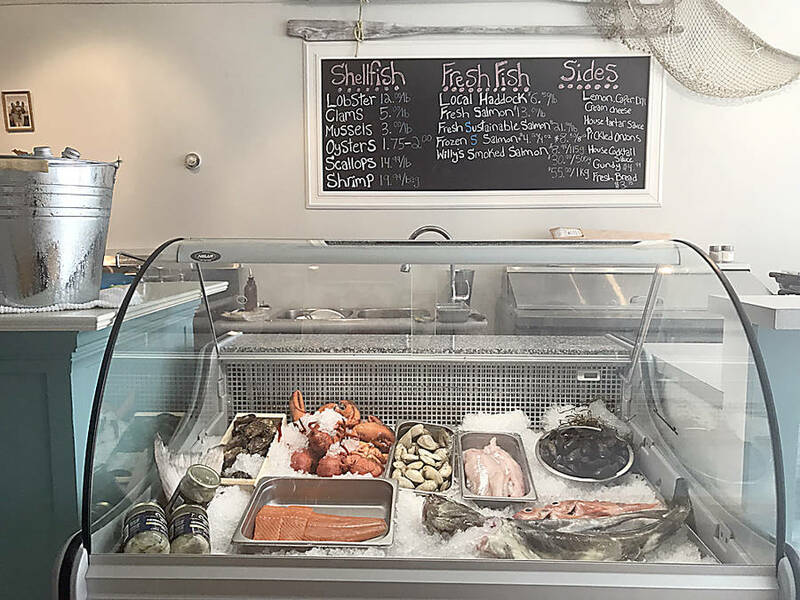 "If anything, people are just stopping in to say 'Hi, and welcome, and we're so happy to finally have a fish store in Lunenburg,'" says Conrad.